Akhil Bharatiya Gorkha League leader and the main complainant in the Madan Tamang murder case, Laxman Pradhan, today lodged a complaint with Darjeeling Sadar police, alleging that the Gorkha Janmukti Morcha was trying to strike a "deal" with him. Laxman was at the spot when Tamang was hacked to death at Clubside Motor Stand in Darjeeling on May 21, 2010. 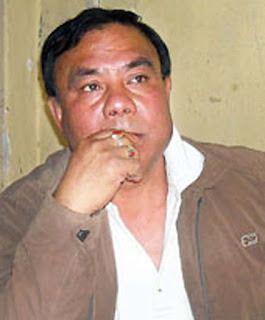 He was the then ABGL general secretary and had filed an FIR against 14 Morcha leaders, including Bimal Gurung, Roshan Giri, Binay Tamang, and others. The anticipatory bail plea of 23 Morcha leaders is expected to be heard soon. Today, Laxman said: "On October 20, 2016, D.K. Pradhan, a central committee leader of the GJM, a party advocate and someone close to Bimal Gurung contacted me over phone. I showed no interest in meeting him. Again on November 8, Jiwan Laber (a writer from Darjeeling), who has recently joined Morcha, contacted me and wanted to meet me the next day. I met him at Hotel Seven Seventeen where he told me Bimal Gurung had sent them and Bimal Gurung thinks highly of me for my integrity. I did not express my views..."
Laxman alleged that the next day, Laber and two Morcha youths, one of whom he named as Shiva Tamang in today's complaint, visited his house at Batasia "at 6.30pm". "They said Bimal Gurung wanted to talk to me alone and would be waiting at Patlabas party office between 1pm and 3pm the next day. Laber told me Bimal Gurung was a very good man and I could strike a deal on any issue," he said. Laxman said after that he got a call from a man saying "they were thinking of giving me a contract worth Rs 4 crore to fence a private property. I think the man was indirectly associated with the Morcha." Laber said he was not affiliated to any party. "I just offered him tea. The allegations are false and I will file a defamation case (against Laxman)." Binay Tamang said: "It seems to be a well thought plan."